Create With Christy: World Card Making Day Promo AND New Stamparatus Accessories Available! 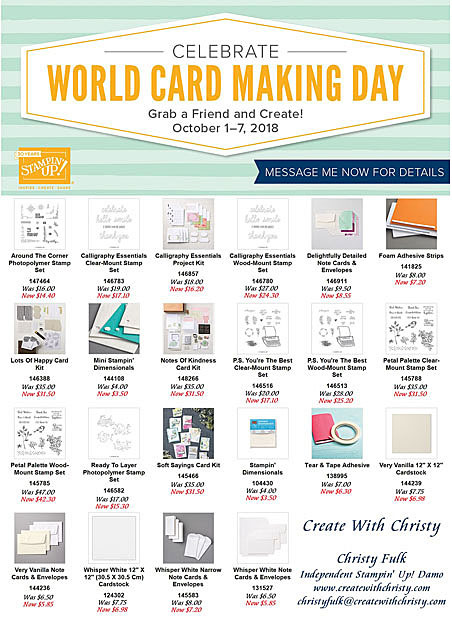 World Card Making Day Promo AND New Stamparatus Accessories Available! 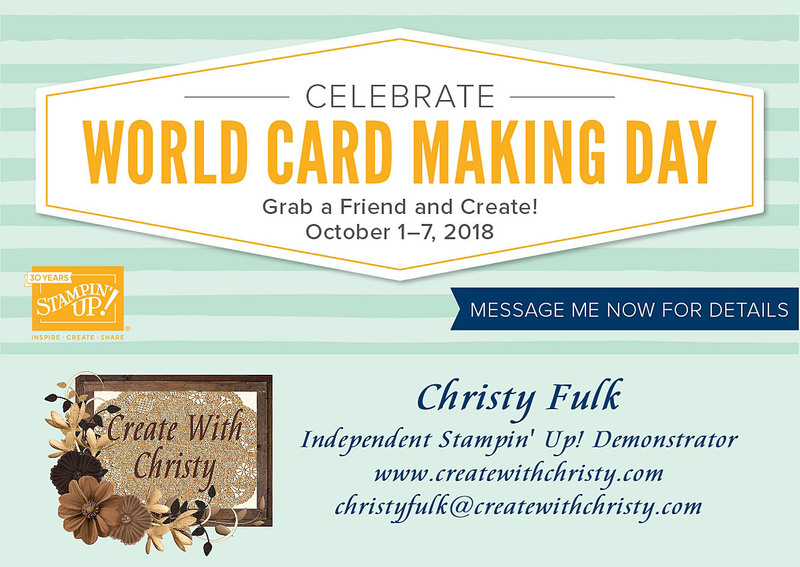 World Card Making Day is this Saturday! Stampin' Up! let us know yesterday that they are starting a week-long promotion to celebrate, and it STARTS TODAY! Everything on the list below is 10% off! You'll Need To Hurry! This Promotion ends THIS Sunday, October 7, 2018! 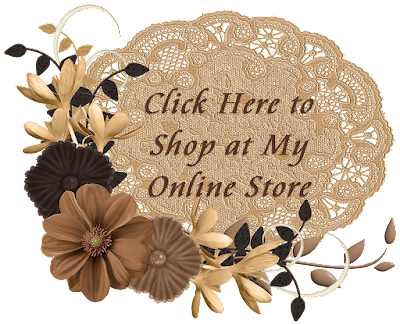 Click On the Picture To Get a Better Look @ What's On Sale! The Items Marked "New" are the New Accessories That Are Available! New Stamparatus Accessories are Available! 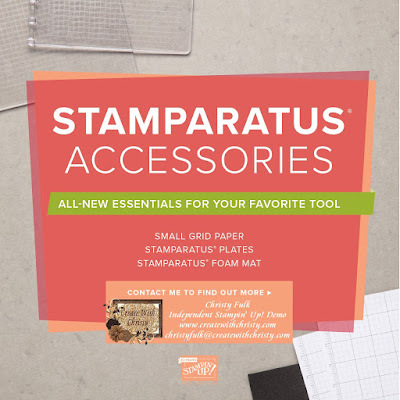 These accessories will make using your Stamparatus even better...I didn't think that was possible! It's already wonderful! Happy Stampin' Up! New Year! Every year, Stampin' Up! gives ALL demonstrators the chance to earn a WONDERFUL incentive trip. I love that Stampin' Up! gives all of us the opportunity to earn it...we don't have to achieve a certain title or tenure...isn't that great?! 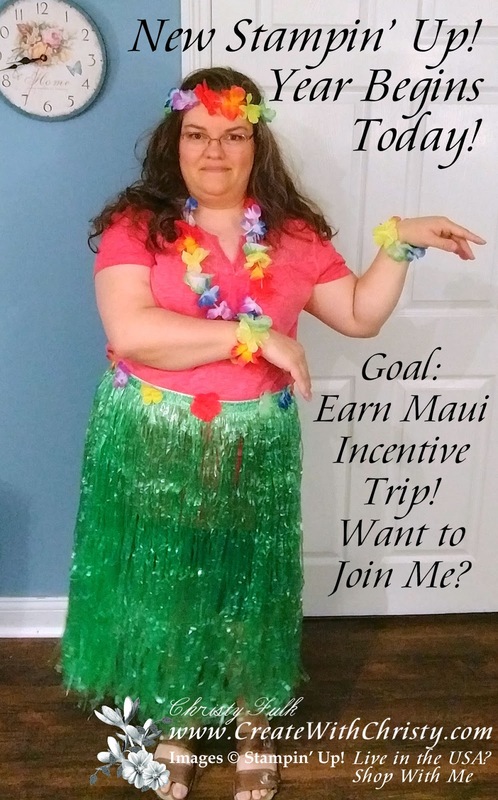 This year, the incentive trip is to Maui in 2020! They give us a full year to earn it, and many different ways to do it! This will be my first incentive trip, and would love to earn it so my husband, Ken, and I can go together. Yes, the trip is for 2! Looking forward to this upcoming year! It's going to be a lot of fun!